20.11.2017 The international project "Construction of new smoothness spaces on domains" will be funded by FWF (Austria) and DFG (Germany). 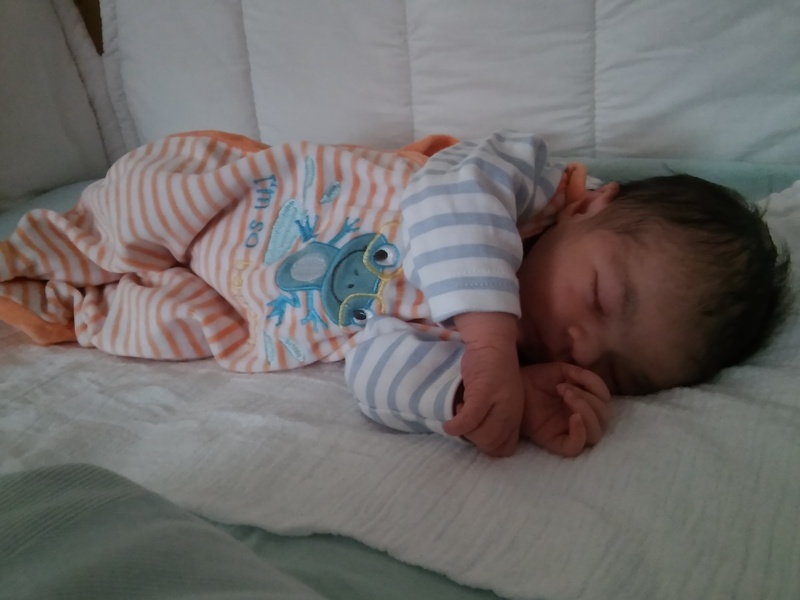 27.10.2017 We congratulate Roswitha Bammer on the birth of her son Nahuel! 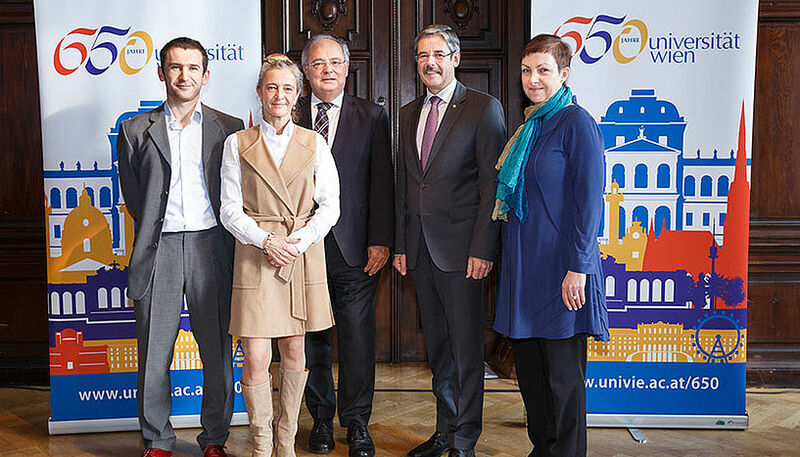 (Foto: Svoboda) Hans Feichtinger has held the 16th Jarnik Lecture at the Faculty of Science, Charles University, Prague. 15.05.2017 FWF has approved the Stand-Alone-project "Stable Infinite Dimensional Phase Retrieval" (project leader: Prof. Dr. Philipp Grohs). 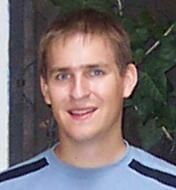 Philipp was appointed associate editor of IEEE Trans. Information Theory. Congratulations. Philipp teaches the first course on "deep learning" in Austria. The attendance of 60 students sets a new record for an advanced course in mathematics. 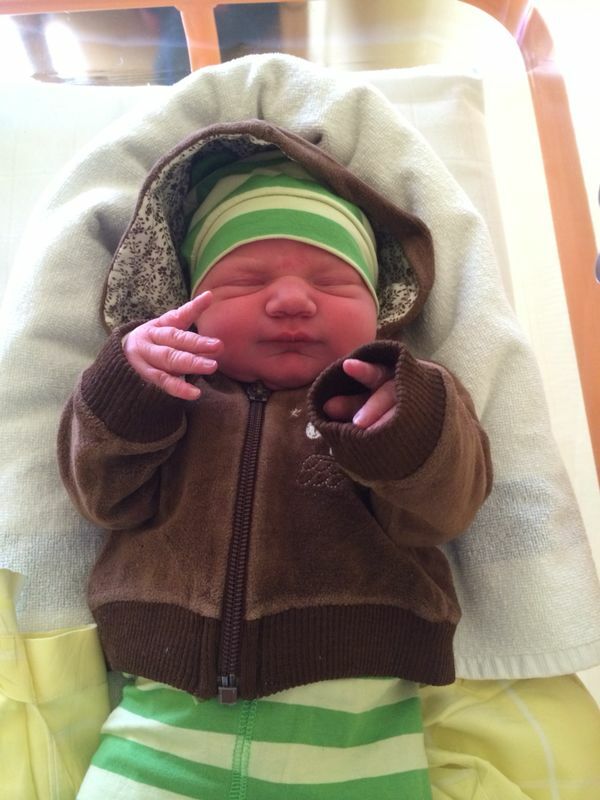 Finally, we congratulate Philipp on the birth of his daughther Mia. 28.02.2017: Markus Faulhuber has defended his thesis on "Extremal Bounds of Gaussian Gabor Frames and Properties of Jacobi’s Theta Functions", with distinction. Congratulations! Technical University of Denmark - DTU. "Innovative Signal Representation in Machine Learning (ISiRIM) - Methods for Music"
FROM ABSTRACT TO NUMERICAL HARMONIC ANALYSIS"
Celebrating Mihai Putinar's visit and Jose Luis's habilitation. Jose Luis Romero was awarded the habilitation with excellent reports. Congratulation! 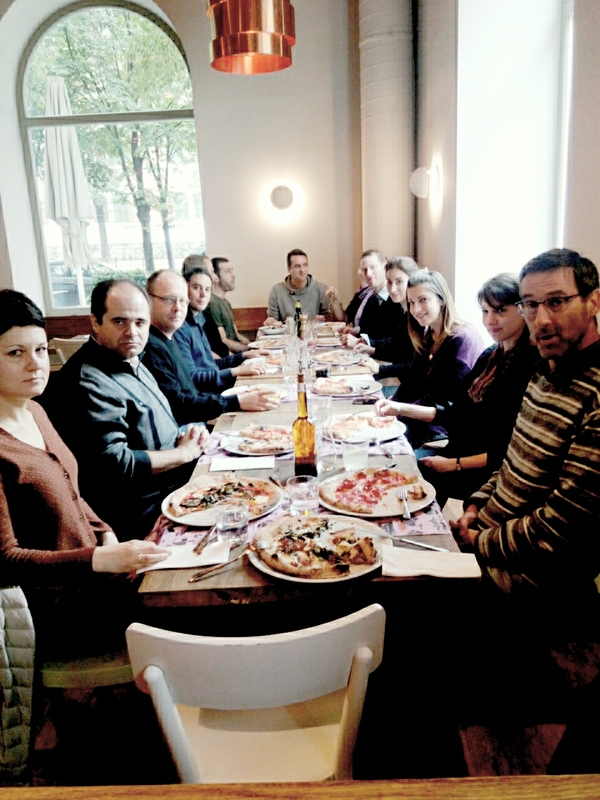 First Austrian-German-Italian workshop for doctoral and postdoctoral students from Graz, Milano, Passau and Vienna. 10.03.2016: Award for the report of FFG-student internship held at NuHAG July 2015. 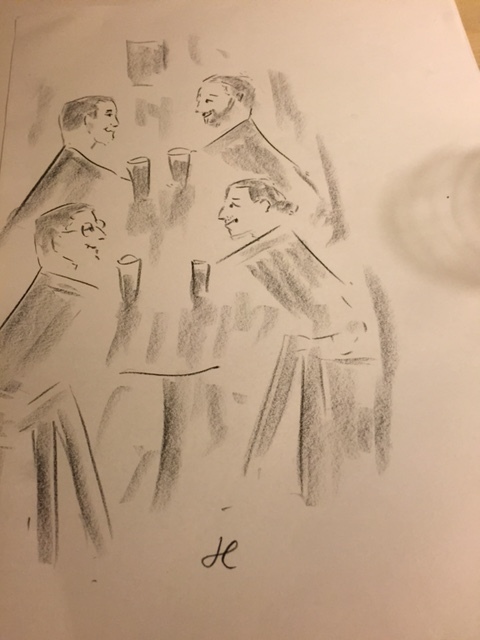 "45 Years of Fourier Analysis in Vienna: Changes during an Academic Life Time"
29.11.2015: Congratulation: Franz Luef became father of Maja! 10.08.2015: Peter Berger has sucessfully defended his PhD-thesis "Sampling and reconstruction in distinct subspaces using oblique projections". 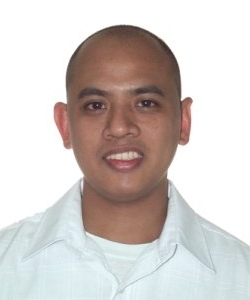 has sucessfully defended his PhD-thesis "Time-Frequency Localization and Sampling in Gabor Analysis" . 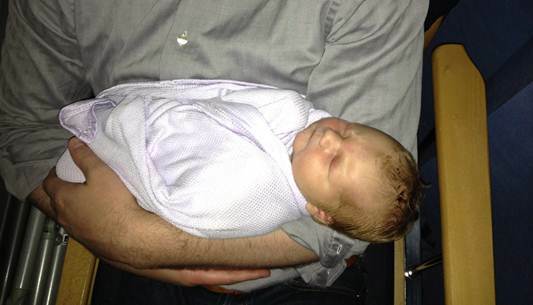 Glad to announce that Isabella Obermaier gave birth to Mia. Roswitha Bammer has sucessfully defended her master-thesis Signaltransformation via Gabor Multiplier. Eine Gruppe von Intership SchülerInnen wird im Juli an der NuHAG ein Praktikum (finanziert von der FFG) absolvieren. 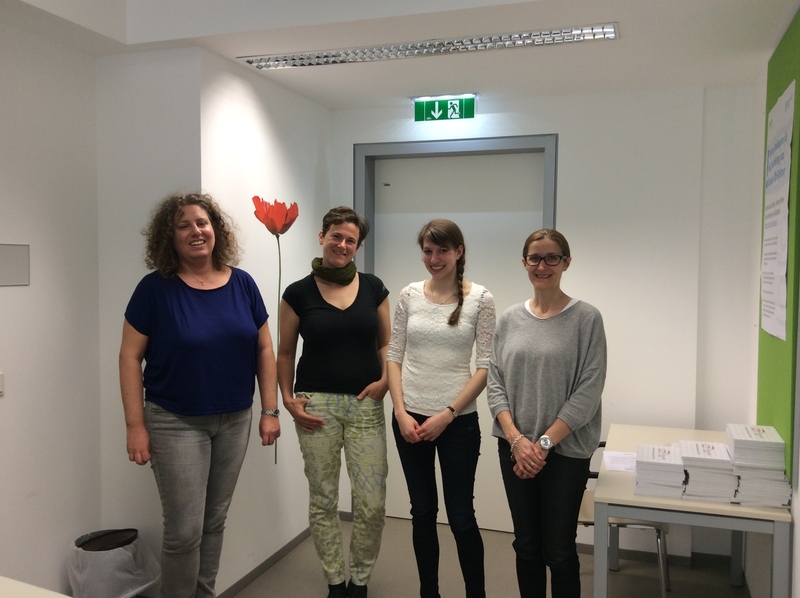 "Semantic Annotation by Learned Structured and Adaptive Signal Representations (SALSA)"
derstandard: "Ein Wörterbuch für den Datenwald"
02.07.2014: Glad to announce that Monika Dörfler gave birth to Flora! "Optimisation Principles, Models and Algorithms for Dictionary Learning". Thomas Strohmer and Matthew Herman was one of the five recipients of the Best Paper award by the IEEE Signal Processing Society. Volume: 57, No. 6, June 2009. Markus Faulhuber has defended his master-thesis Geometry and Gabor Frames with distinction. "Computational Harmonic Analysis of highdimensional data"! 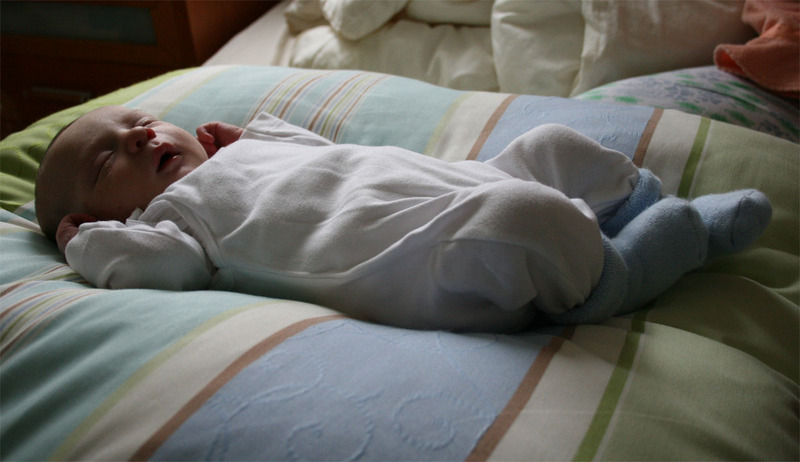 and Sonja became parents of Franziska. 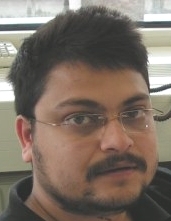 (Team: Saptarshi Das, Mario Hampejs and Hans G. Feichtinger). 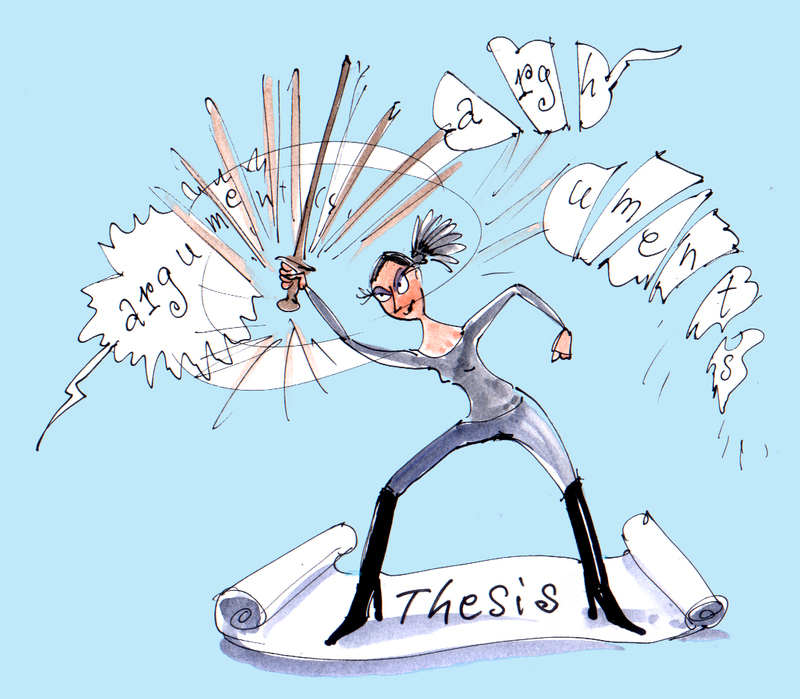 has successfully defended her PhD thesis Necessary Density Conditions for Frames on Homogeneous Groups. has successfully defended his PhD thesis Construction of frames by discretization of phase space. 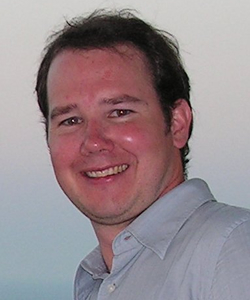 04.10.2013: Nicki Holighaus has successfully defended his PhD thesis Theory and implementation of adaptive time-frequency transforms. H.G. 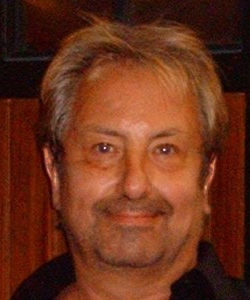 Feichtinger will hold the Jean Morlet Research Chair in Marseilles (CIRM) from August 2014 until January 2015. The chair is named after Jean Morlet, a French geophysicist, who pioneered work in the field of wavelet analysis. 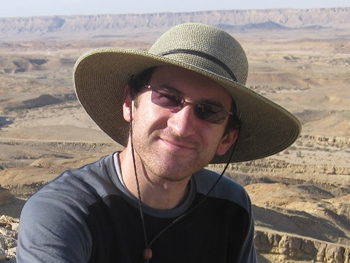 "Local and Global Aspects of Time-Frequency Analysis with Applications to Sound Analysis"! 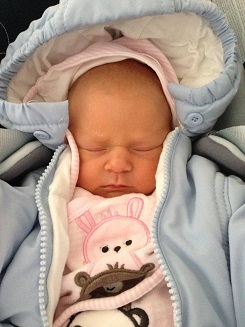 30.03.2013: Glad to announce that Gabi Maier gave birth to Valerie ! 01.02.2013: Kirian Döpfner has defended his master-thesis Quality of Gabor Multipliers for Operator Approximation with distinction. 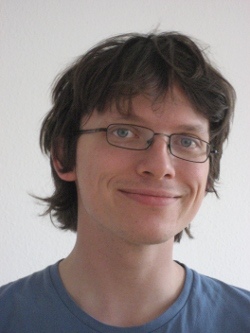 19.12.2012: Martin Ehler was able to win the competition "Vienna Research Groups for Young Investigators Call 2012 Mathematics and ..." at WWTF. Title: "Computational harmonic analysis of high-dimensional biomedical data"
ESI12 ESI semester: "Modern Methods of Time-Frequency Analysis"
12.11.2012: Glad to announce that Nina Engelputzeder gave birth to Malina Victoria ! 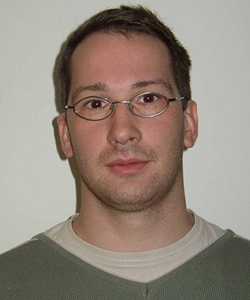 11.12.2012: Andreas Missbauer has defended his master-thesis Gabor Frames and the Fractional Fourier Transform [PDF] with distinction. 16.11.2012: Sebastian Schmutzhard has defended his PhD thesis Galerkin methods for the numerical evaluation of the prolate spheroidal wave functions with distinction. 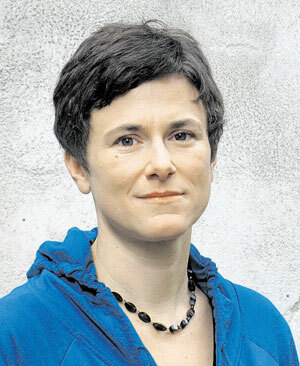 "KLI 237 Katrin KLEBERMASS-SCHREHOF / Medizinische Universität Wien Entwicklung von Schlaf-Wach-Zyklen bei Frühgeborenen und deren Auswirkungen"
01.09.2012: Anders C. Hansen became father of Anna Amalie Maraas Sindre (3940g). 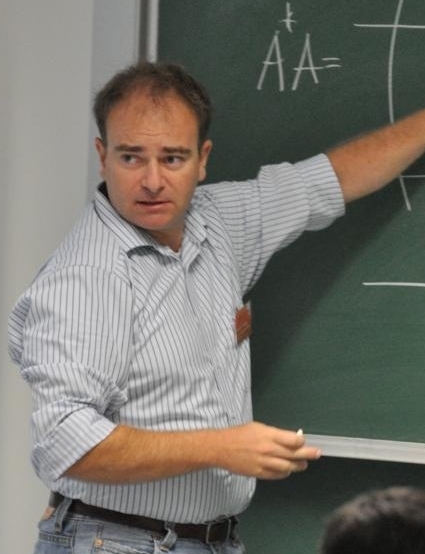 20.07.2012: Massimo Fornasier has obtained ERC Starting Grant 2012. 15.07.2012: NuHAG internship candidate (2011 and 2012) Johannes Girsch, scores top at the International Mathematical Olympiad (best AUSTRIAN representative). 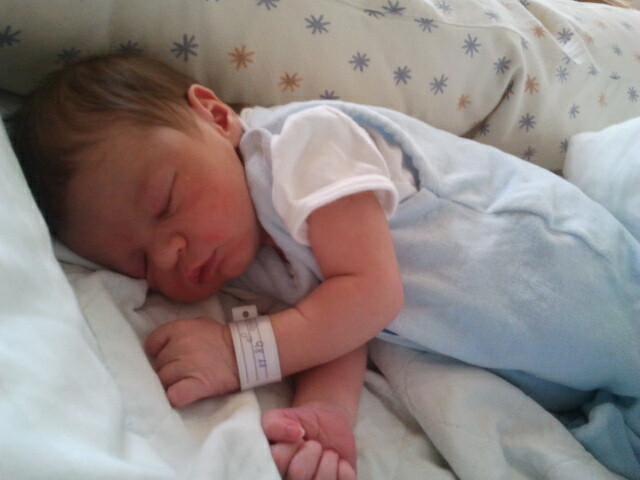 21.06.2012: Daniel Eiwen became father of Samuel ! 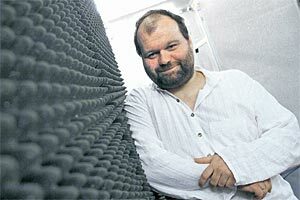 05.06.2012: Anders Christian Hansen has been awarded Royal Society University Research Fellowships in this year's competition. 25.05.2012: Daniel Eiwen has sucessfully defended his PhD thesis. 04.04.2012: Wie in den Vorjahren bietet NuHAG auch 2012 im Rahmen von »"Generation Innovation" im Juli ein einmonatiges Internship an, für SchülerInnen (HTL, AHS) bzw. 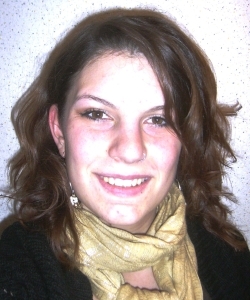 MaturantInnen mit Interesse an Mathematik und Signalverarbeitung. 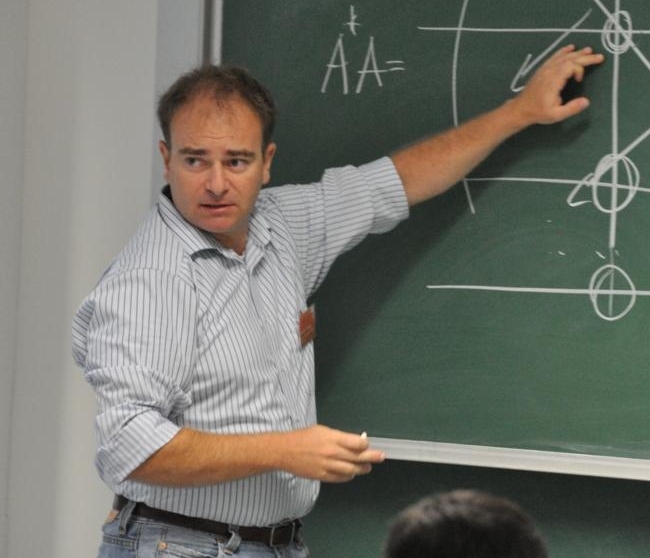 "Pseudodifferential Operators, Wireless Communications and Sampling Theorems"
FEIT12 "Asymptotic and Time-Frequency Analysis with Symplectic Geometry"
The project P23902 Hamiltonsche Deformationen von Gabor Frames (»Maurice de Gosson) has just been accepted by »FWF. 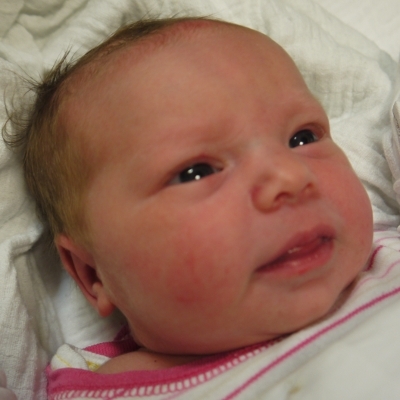 09.08.2011: Glad to announce that Isabella Obermaier gave birth to Marlin ! 21.06.2011: Peter Balazs (Acoustics Research Institute, ÖAW, Vienna) receives the 2011 START award! 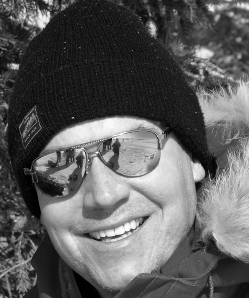 01.04.2011: Massimo Fornasier will be holding a full Professorship in Applied Numerical Analysis at the Technical University of Munich in Germany. "Grenzgänge zwischen Musik und Mathematik"
22.03.2011: Sebastian Schmutzhard is coauthor of the paper "PERFORMANCE BOUNDS FOR SPARSE PARAMETRIC COVARIANCE ESTIMATION IN GAUSSIAN MODELS" together with Alexander Jung (TU Vienna), Franz Hlawatsch (TU Vienna), Alfred Hero (University of Michigan), which has received a "Best Student Paper Award" for the upcoming ICASSP Conference in Prague. 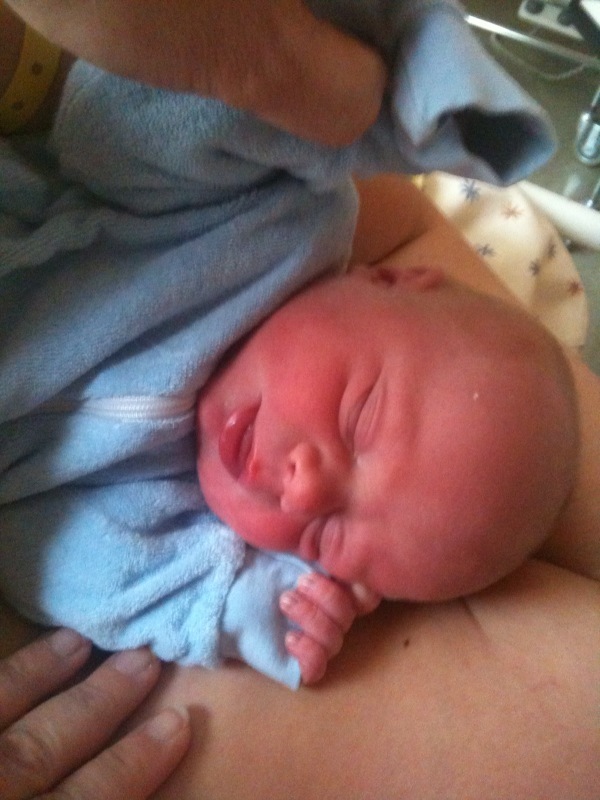 "Bilinear Time-Frequency Distributions and Pseudodierential Operators"
02.12.2010: Benjamin - son of Pauwels Elmar was born! "Nichtkommutative Approximation: Glattheit, Approximation und Invertier-barkeit in Banachalgebren"
Click »here« to see more awards with NuHAG-participation! 06.09.2010: Christchurch: Hans G. Feichtinger returned after two months safely from Christchurch, less than week before it was heavily hit by the strongest earthquake in recent history (Richter 7.1, »see here« ). It is a miracly that no person was killed, because it occurred at 4.35 in the morning. We wish all the best to our colleagues and friends, which have provided great hospitality. 01.07.2010: The project "Frames and Harmonic Analysis" (»Karlheinz Gröchenig) has just been accepted by »FWF. "Functions of Variable Bandwidth: A time-frequency approach". "Mathematical Methods for Wireless Channel Estimation and Equalization"
T "Multicarrier signal equalizing method of intercarrier interference for mobile phone, involves determining equalized signal by solving frequency domain channel matrix using sparse linear equation and sparse least squares algorithm"
07.09.2009: The WWTF proposal Audio-Miner. 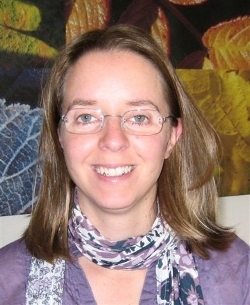 Mathematical Signal Analysis and Modeling for Manipulation of Sound Objects featuring Monika Dörfler a "high potential" has been selected for full support, i.e. for a three year duration. 31.08. - 04.09.2009 Summer School on "Theoretical Foundations and Numerical Methods for Sparse Recovery"
08.07.2009: Forschungsnewsletter 39: "Signale unter der Lupe"
Report about the new Hertha-Firnberg-project "Lokale Aspekte in der Zeit-Frequenz-Analyse - Thema und Variationen" by Monika Dörfler. 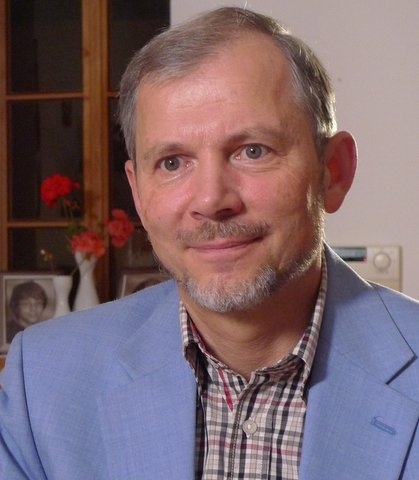 10.06.2009: The publication Peter Balazs was accepted to the "Short-List of the Best Paper Awards of the Austrian Academy of Sciences 2008" . 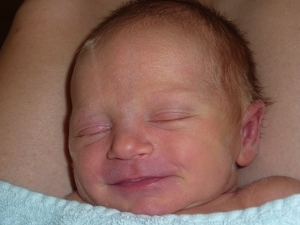 01.06.2009: Karin Schnass gave birth to her daughter Nike. 17.04.2009: reactivation of "Mathematischer Zirkel"
26.02.2009: "How camels could explain quantum uncertainty"
17.02.2009: Time-frequency Analysis of Musical Rhythm: An article of X.Cheng, J.V.Hart and J.S.Walker in the March issue of the Notices of the Amer. Math. Soc. with references to the work of Monika Dörfler, Hans G. Feichtinger, Thomas Strohmer and Peter Balazs. 01.01.2009: Monika Dörfler: Hertha-Firnberg-Programm "Local Aspects of Time - Frequency - Analysis. Variation on a Theme." will start on 01.03.2009. 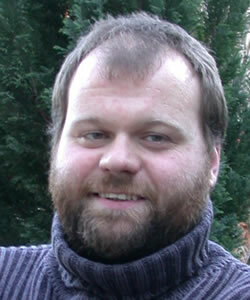 01.01.2009: Norbert Kaiblinger: Start of the FWF-project "Continuous and discrete Gabor frames". 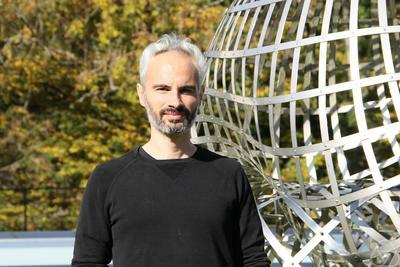 10.11.2008: Massimo Fornasier (now RICAM, Linz) was given a START Prize by the FWF (2009-2014). 30.09.2008 OPEN HOUSE at the new office Alserbachstraße 23. 01-05.09.2008: WORKSHOP: "Applied Analysis and Fast Computation in Phase-Space"
18.08.2008: Starting of the (pre)registration for the conference Strobl09. from Nordbergstrasse to Alserbachstrasse [Google-Map]. 07-11.06.2008: and IK out for internal workshop at Strobl! 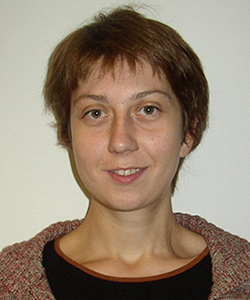 26.06.2008: FWF announces the successful application of NuHAG member Monika Dörfler: "Local aspects of time-frequency analysis. Variations on a theme. " "Compressive Algorithms. Adaptive Solutions of PDEs and Variational Problems"
26.05.2008: Online-Zeitung der Univiersität Wien: "Das Verhalten von Signalen"
WWTF-Projekts "Frame Multipliers: Theory and Applications in Acoustics"
01.02.2008: Hans G. Feichtinger is spending a few months in the spring of 2008 als LEVERHULM VISITING PROFESSOR at the Department of Mathematics, University of Edinburgh. the Proposal on subproject PP 2: Signal and Information Representation (PP leader: K. Gröchenig, Coappl. H.G. Feichtinger) has just been accepted by FWF. The duration of such an NFN is 3 + 3 years (with a full evaluation after the first period). 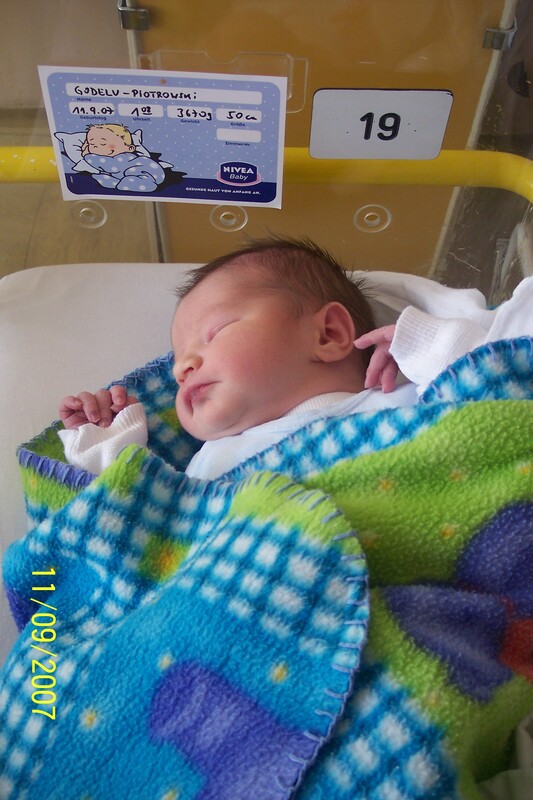 11.09.2007: Today Aliosha son of Mariusz Piotrowski was born! 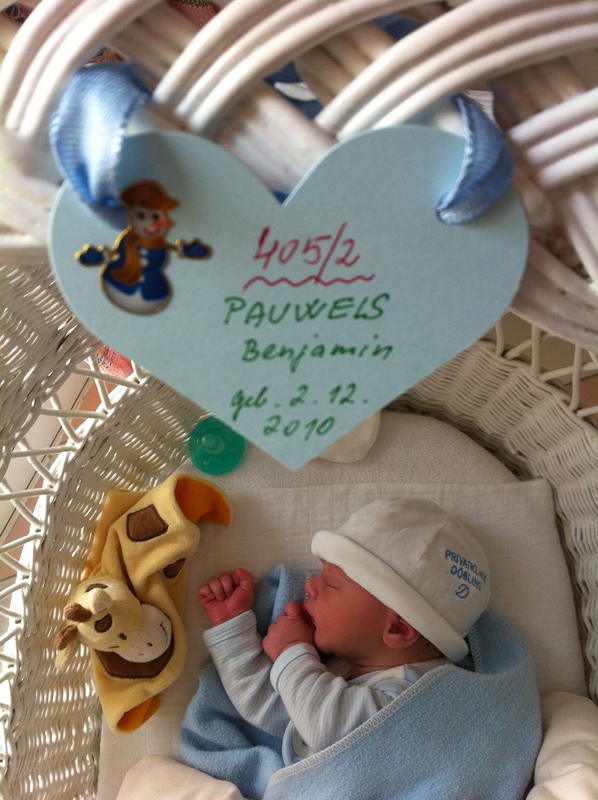 30.08.2007: Glad to announce that Holger Rauhut became father of Niels! 10.05.2007: Simone Wehling has defended her PhD thesis with distinction. 30.04.2007: Peter Soendergaard has defended his PhD thesis at the TU Copenhagen (Lyngby): "Finite Discrete Gabor Analysis". 28.03.2007: Master Thesis of Annette Schocher: "Die Kegelschnitte in der Schule"
21.03.2007: Norbert Kaiblinger's Habilitation talk. 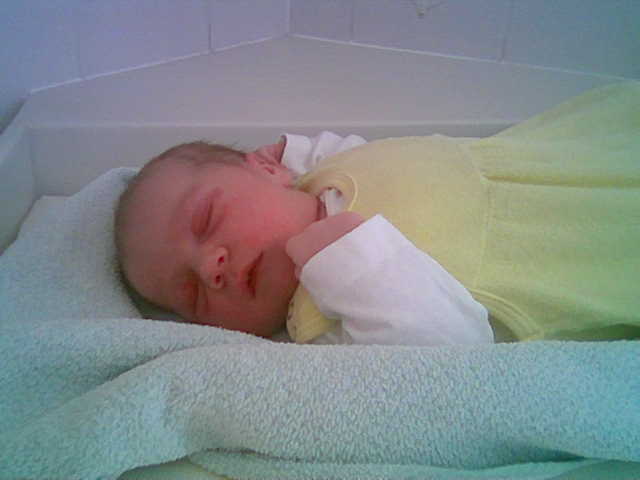 27.02.2007: Glad to announce that Ewa Matusiak gave birth to Mila! 12.02.2007: IK-members: By now the team of the IK is complete. In March two more members will join in: Saptarshi Das and Nina Engelputzeder. 19.11.2006: Qasem Narimani, a long-term NuHAG fellow, has defended his PhD thesis at Tabriz University (Iran). The title of the work was "Decomposition Spaces and the Fourier Multipliers of alpha-Modulation Spaces". Strobl07 "Trends in Harmonic Analysis"
[n\a\h\a] "Numerical and Applied Harmonic Analysis"
07.06.2006: [Mathematisches Kolloquium C206 16:00] The inaugural lecture of Prof. Karlheinz Gröchenig: "Wieners Lemma: Thema und Variationen"
03.05.2006: Wojciech Czaja successfully finished the procedure of postdoctoral lecture qualification by given the talk: "Beurling dimension and wave packets of Cordoba and Fefferman". 06-11.03.2006: Workshop: "Pseudodifferential operators and microlocal analysis"
Click »here« to read the description of this program (german/english). 16.02.2006: Courses for summer term 2006 can be found »here«. 07.10.2005: dieuniversitaet-online.at: press release about the start of "EUCETIFA"
03.10.2005: Start of the courses in winter term 05/06. Click �here� for more information. 01.10.2005: Start of the Center EUROPEAN CENTRE for TIME-FREQUENCY ANALYSIS (EUCETIFA). 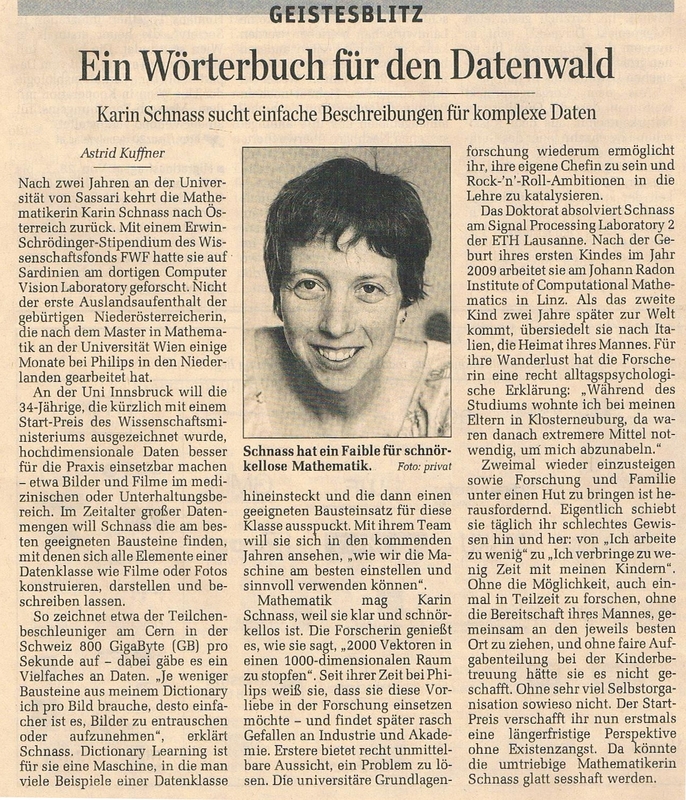 01.08.2005: We have just started the MOHAWI-project, funded by WWTF (Karlheinz Groechenig, HGFei + Franz Hlawatsch and Gerald Matz: TU Vienna).